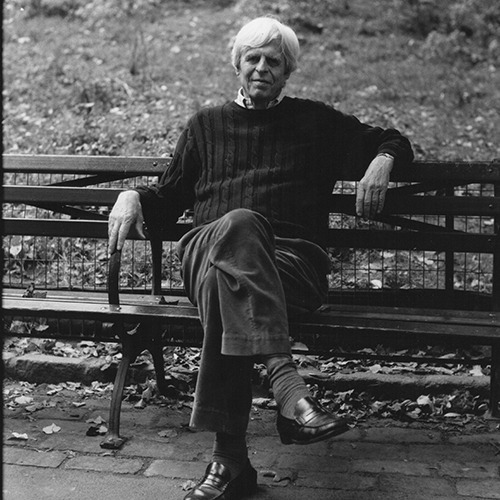 The point is, George Plimpton pops up in the strangest places. And you can wear penny loafers anywhere and with anything. 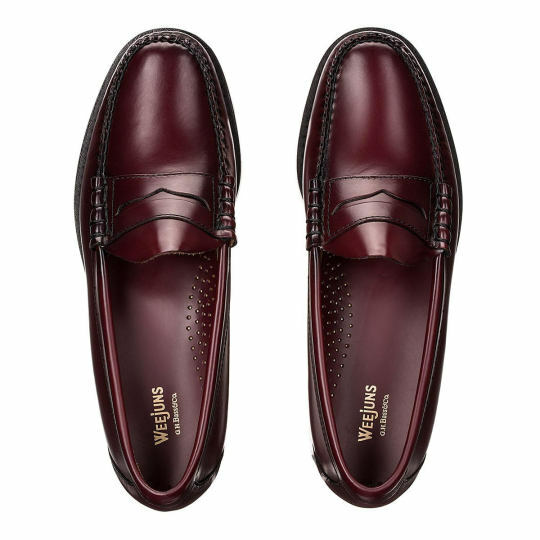 I favor weejun-related models over other slip-on leather shoes for their campus-rooted casualness. I respect bit loafers, Belgians, etc., but the penny/weejun-influenced styles are my eternal jam. And there’s maybe surprising variation in their design. You can have a lower or higher vamp, with beefrolls or without, a “pinch penny” moccasin construction or something less rustic. And naturally, you can spend about $100 for a pair of Bass Weejuns all the way up to $1,000 or more on the most elegant British makers. So which loafer is the best fit for your style and budget? 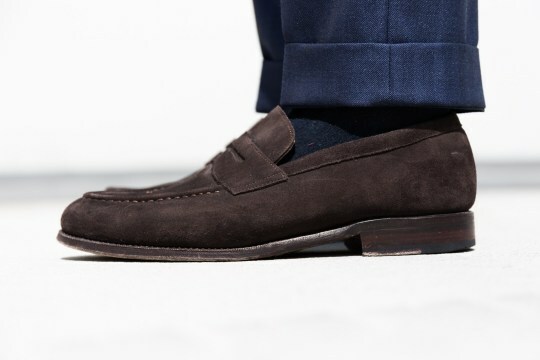 Like with most men’s clothing, the details matter for loafers. Do you want a straightforward American loafer? Then you’ll probably see pinched moccasin toe construction (where the leather of the vamp and the leather of the “plug”–i.e., the part the lays on top of your foot–are pinched together and stitched). 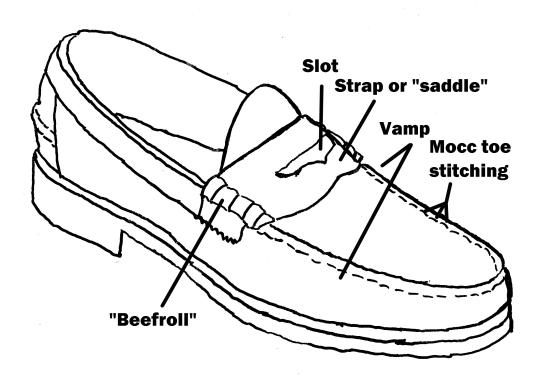 You may also see “beefrolls” at the sides of the strap, which resemble, well, twine-bound rolls of beef. The vamp will likely also be on the lower side, meaning it doesn’t come up very high on your foot. 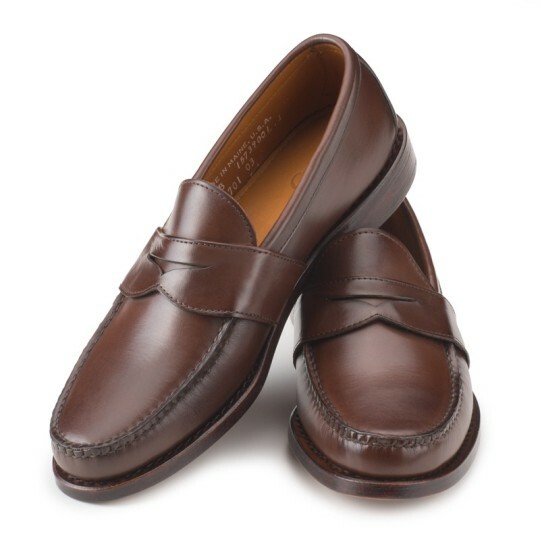 This style is often sold unlined, which sometimes denotes a cheaper shoe but fits with the casual vibe of the loafer. 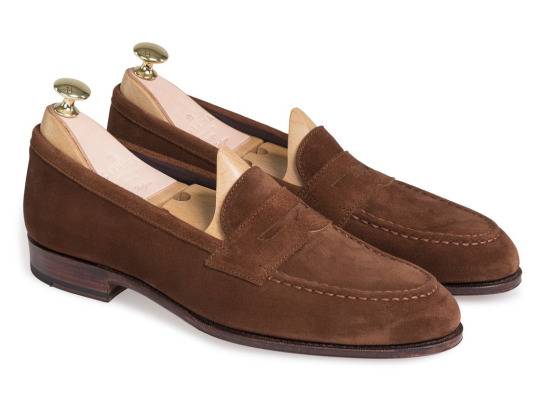 More refined loafers (not necessarily better) may have a decorative stitched detail at the toe but not true moccasin construction, a higher vamp, and no beefrolls or decorative edges. You’re more likely to see such details on British loafers. Of course, nationality isn’t inherently meaningful–the original American weejuns were allegedly imported from Norway (even further back, possibly inspired by Native American moccasins), and as their popularity spread, European shoemakers used the American derivative as their benchmark. The cleaner the design, the more formal it will look–less Sunday-morning-getting-coffee-in-shorts and more at home with trousers in the office or even with a suit. Likewise, as with any shoe, a sleeker last will ratchet up the formality. One more thing: personally, I can’t really stand black penny loafers. Black Gucci bit loafers? OK. Otherwise, brown, oxblood/cordovan, or maybe tan. Bass Larson Weejun (~$100): I can’t verify that back when Bass made its loafers in the United States they were of tremendous quality, but I know the new ones are merely OK. The worst part is the leather, which tends to be shiny and, in my opinion, creases unattractively. It’s a classic design, though, and a relatively reasonable entry-level shoe. Alden cordovan “leisure handsewn” (~$700): This Alden model, made in USA in number 8 shell cordovan (oxblood), is what your basic weejuns wish they could be. The LHS is a slightly cleaner design, with a mocc-stitch detail (not pinched) and a simple oval slot in the strap. As they age, these shoes show off the subtleties of the oxblood number 8 color very well. They use Goodyear welt construction, while many less beefy loafers do not. Really the only reservation here is the price, which has gone up quite a bit in recent years. The version made for Brooks Brothers, which occasionally gets discounted, is unlined. The LHS also looks pretty great in suede. Other American makes ($300-$350): In between are lines like Rancourt and Quoddy, which are also Northeast manufacturers and generally use higher-quality materials, like full-grain leather. Oak Street Bootmakers’ version is also worth a look. These companies almost all broke out in the last few years on the strength of their boat shoe style moccasins, but today I’d much prefer to pick up some loafers from them–most of them offer made-to-order options, as well. I especially like the look of Rancourt’s Weltline model with a full strap, pictured below. Carmina ($450): The more European styles, like Carmina’s, tend to be cleaner and a little less round than their American counterparts (almond shaped, as the Armoury puts it). The Armoury’s Carminas in brown suede are quite sharp, and have the added benefit that you can try them on in New York or have the option of exchanging if you order online and don’t get the size right the first time, which can be an issue ordering direct from Europe. 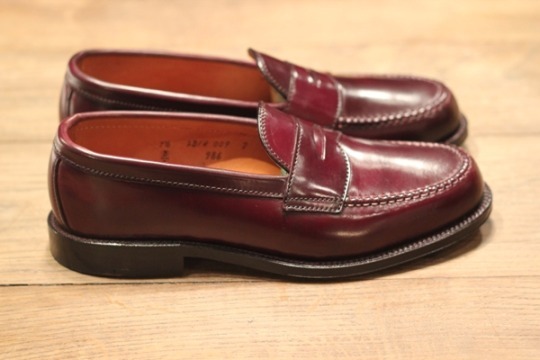 Meermin ($175): If you want a more European feel on a Bass budget, you can try Meermin’s well-styled and exceptionally priced, Goodyear-welted loafers, which I haven’t handled in person but which look great and have gotten solid reviews elsewhere. 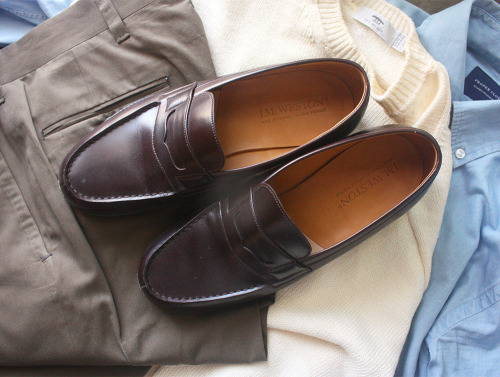 JM Weston 180 (~$800): The French have their own iconic loafer in Weston’s 180, which (stylewise) differentiates itself by a larger, distinctive slot and a seam running down the center of the toe, plus a taller, roomier overall profile than the sleeker European designs. Weston gets less attention than Northampton makers but their standards are quite high–they’re generally considered to be on par with the best British shoes. Derek has warned that Weston’s sizing can be tricky, though, so it’s best to try on if possible. 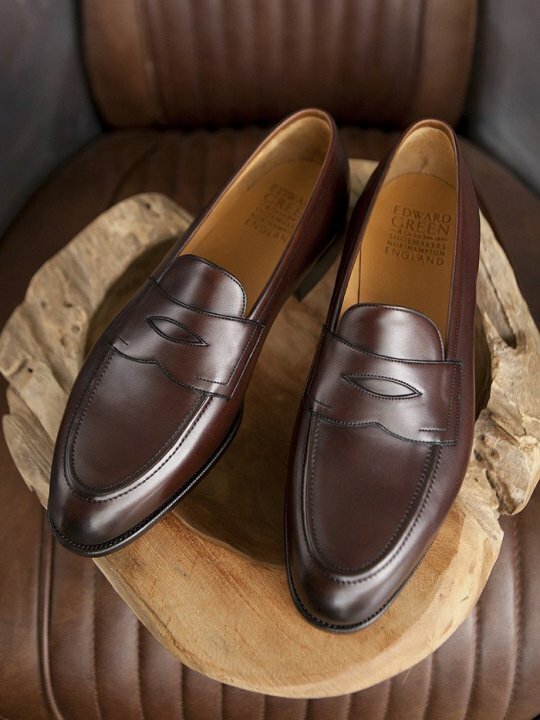 Edward Green Piccadilly ($1,220): Maybe my favorite aspirational loafer is the Piccadilly–an aristocratic shape in Edward Green’s subtle and beautiful leather shades, like dark oak. With the typical refinements of a label like Edward Green, like fine stitching and a beveled waist (the sole is more sculpted than flat), it comes with the price tag to match.